Explanation: Familiar stars in Orion and constellations across the sky now have official names. Over the past year, the International Astronomical Union, the only body officially tasked with naming stars, approved names already in common use for 227 of the brightest stars, including the most famous stars on the sky Sirius, Polaris, and Betelgeuse. 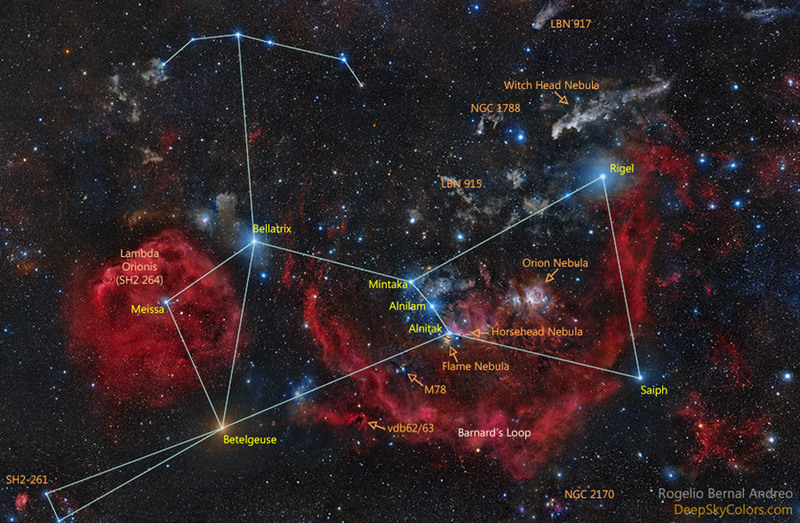 Pictured, the constellation of Orion is shown with several of these now-official star names superposed. Spanning about 30 degrees, this breath-taking vista stretches across the well-known constellation from head to toe (left to right) and beyond. 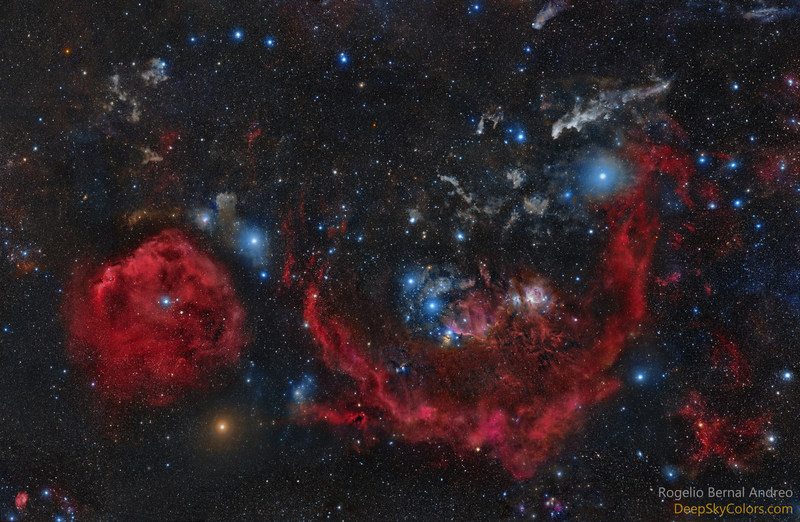 The common names for all three stars in Orion's belt are also now official. At 1,500 light years away, the Great Orion Nebula is the closest large star forming region, here visible just right and below centre. Also visible are famous nebulae including the Horsehead Nebula and the Witch Head Nebula. Of course, the Orion Nebula and bright stars are easy to see with the unaided eye, but dust clouds and emission from the extensive interstellar gas in this nebula-rich complex, are too faint and much harder to record. In the featured mosaic of broadband telescopic images, additional image data acquired with a narrow hydrogen alpha filter was used to bring out the pervasive tendrils of energized atomic hydrogen gas like in the arc of the giant Barnard's Loop.